Hawkeye Security and Electronics uses a unique solution that makes appliances and electronics work together to organize and distribute different technologies throughout the home—integrating security, home entertainment, computer networking, audio and video, cable and satellite TV and HVAC. With central distribution of your phone system you can have multiple lines distributed individually to designated rooms of the house. 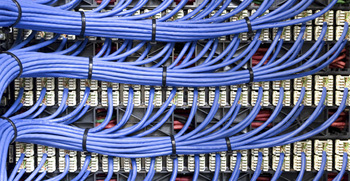 This wiring method allows for phone lines to ring where you want them. For example, the office phone and fax line would only ring or work in the home office. Meanwhile, the standard home number could reach throughout the house. Further uses include separate lines for teenagers ringing only in their room. Telephone wiring has been the same since its invention. Until recent years, builders have relied on electricians to wire a home for telephone service. However with the increase of multi-line services, home offices, and internet, “the old way” of doing business just will not support the demand of homeowners. With standard wiring, a home is limited to the connection that home can have. All of the electronics in our home require use of the Internet from your smart-phone to your TV to your refrigerator. 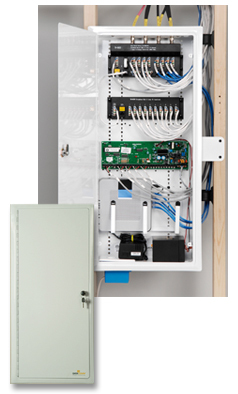 This has driven many builders to consider wiring homes to support networks and high speed connectivity. 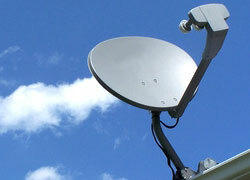 Many home buyers are now expressing a need for high speed Internet through DSL or cable modems. If a builder’s home is not wired for this technology, it will hamper the homeowner’s ability to utilize this modern technology. We also take the step of thoroughly planning your needs for proper location and configuration of your router and WiFi Access Points ( WAPs ). Hawkeye Security and Electronics structured cabling allows for network cabling to be integrated at designated home jacks ensuring that wherever technology takes a turn to, your home can keep up. Homes now are becoming larger and video systems are more complex. Whether you intend to use cable TV, Satellite, High-Definition video services require a more complex wiring infrastructure than just 10 years ago. It is important to select a low-voltage custom electronics contractor who understands these technologies. If you don’t, the cable TV or dish company will simply string cables on the outside of your brand new home to get them where they should be.